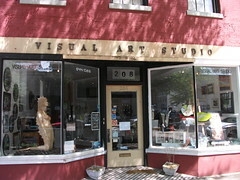 Located on Broad St., Visual Art Studio is free and open to the public. It incorporates exhibits devoted to fine arts and boasts a painting/photography studio in which drawing and painting classes are held. It houses nationally-renowned rotating exhibitions, as well as, those created by the local artists of Richmond. 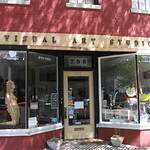 Visual Art Studio also participates in the First Friday Art Walk, as well as, the Saturday Stroll which takes place every 3rd Saturday each month. For more information visit their website or call the number provided.